It has been a big 3 months for you. You became a big sister on December 29th, 2014. I am so proud of you and how you're handling all of the new changes in our lives. I hope I never forget the sound of your voice when you say (sometimes yell) "I love baby", "oh no, baby", "hello baby!"... 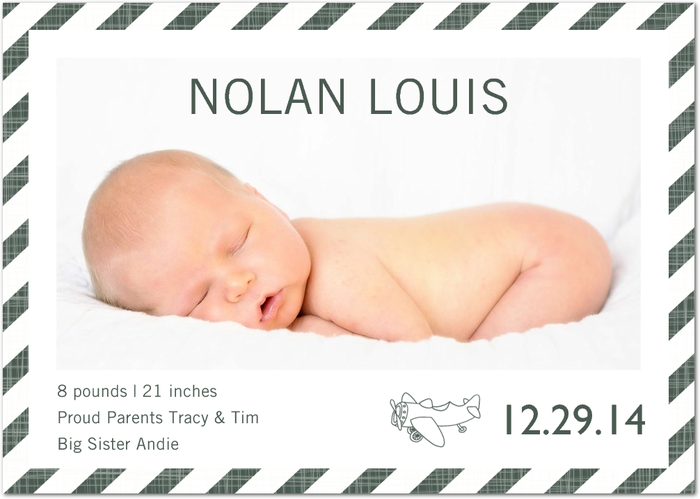 it is absolutely adorable and you are always looking for Nolan and kissing his head, and trying to share your toys with him. 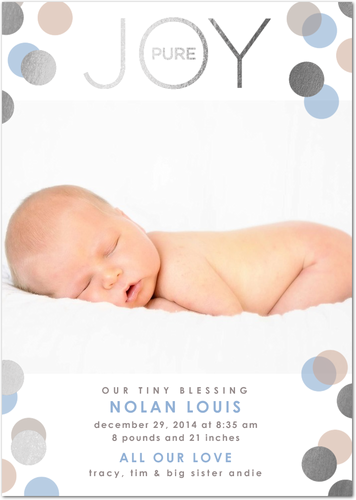 You can't quite say "Nolan", but you can say his nickname "toots" and it is so cute when you say it. 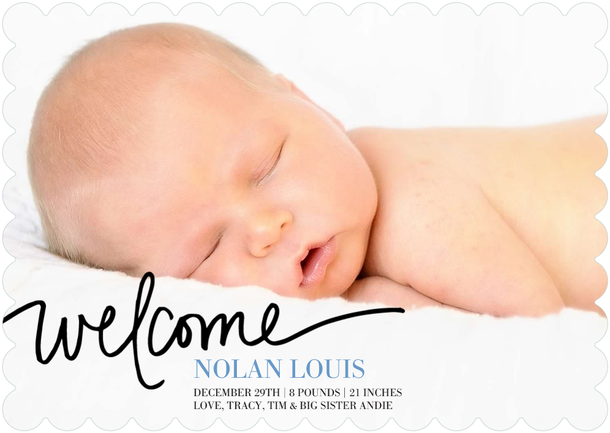 Besides gaining a new family member, you also celebrated your 2nd Thanksgiving and Christmas. 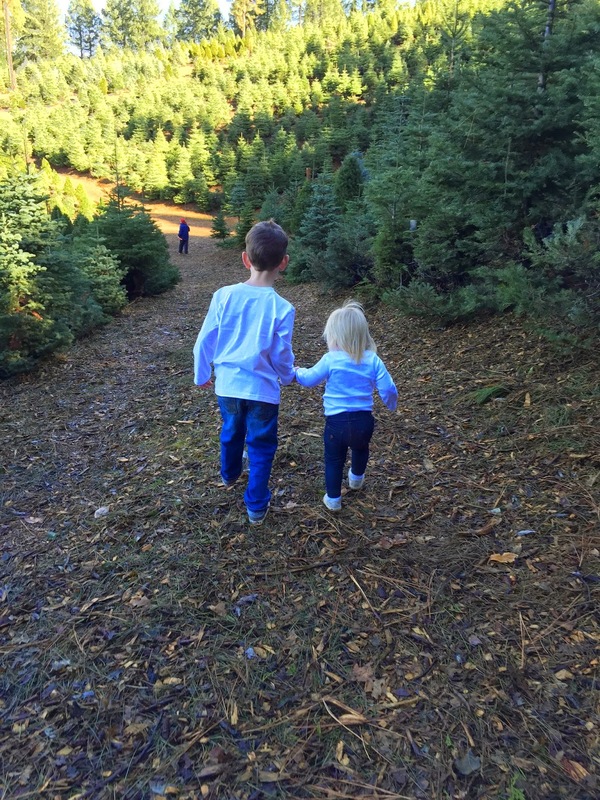 We had a great time doing our Christmas Tree hunt with the family in Apple Hill. You and your cousins were so cute! We celebrated Thanksgiving in Monterey with daddy's family and stayed at a house near the beach. We took a walk with your uncles near the ocean and you loved getting out and running around. We celebrated our Christmas morning on Christmas Eve because dada had to work. We woke up early and went to Gramz and Pops house. My goodness, it was filled with love, good food, and lots of presents. The theme this year for you was Minnie Mouse, because you are crazy about her! Gramz and Pops got you several new gifts that you were so thrilled about and are still playing with everyday, including your Minnie car, a couple new baby dolls, books, and your Mickey Mouse Clubhouse figurines. Santa brought you a new miniature trampoline and you are getting very good at bouncing on it and saying "ashes, ashes we all fall down". We had a wonderful Christmas and you really enjoyed it. I would say your biggest change during the last 3 months has been in your ability to communicate with us about what you need. You are saying so many words and phrases and definitely understand us better than we know. You have a great memory and I love reading some of your books with you because you point out so many things - including numbers - and I am always so proud of you. Some of my favorite phrases you say... "Oh no, what happened? ", "all done" (which you kind of sing when you say it), "more please", "thank you", and "all through the town" (one of your favorite songs is wheels on the bus). I love how you add "mama" and "dada" to the end of your phrases now, too. "Hello mama!" It is so cute and every single day it seems like your words are getting more and more clear and you are learning more of them. You love to watch Mickey Mouse Clubhouse and it is adorable how you dance and sing the songs. It's amazing to me that you actually seem to understand what is happening in the episodes, sometimes I will hear an "oh no" if something bad is happening. You also love the song "Let it Go" from the movie Frozen and sing it all the time. You throw your arms out and spin around in circles, get dizzy and fall all over the place. Sometimes in the morning or after your nap you wake up singing "Let it Go, let it gooo". It is so precious. You are a feisty and tough little girl. You definitely are not a girlie-girl right now. You can't stand having bows or clips in your hair, hats, sunglasses, socks, or necklaces on. You still love being thrown into the air and spun around. You love to play rough and wrestle with your cousins. You absolutely adore your cousin Ryan ("why-an"), and you get so excited to see him, throwing your arms around him, asking him to pick you up, and loving on him. You also love holding his hand and following him around. Although you're not a girlie-girl... you absolutely love your baby dolls. You read to them, hold them, rock them, kiss them, and feed them. It's amazing watching you love them, it makes me feel like you have learned to love them a little bit like we love you. When you get angry with dada or me, you will sometimes swat or hit us, then immediately follow it up with kisses. You also will put yourself on time out if you are doing something you know you shouldn't and we ask you if you want to go on time out. 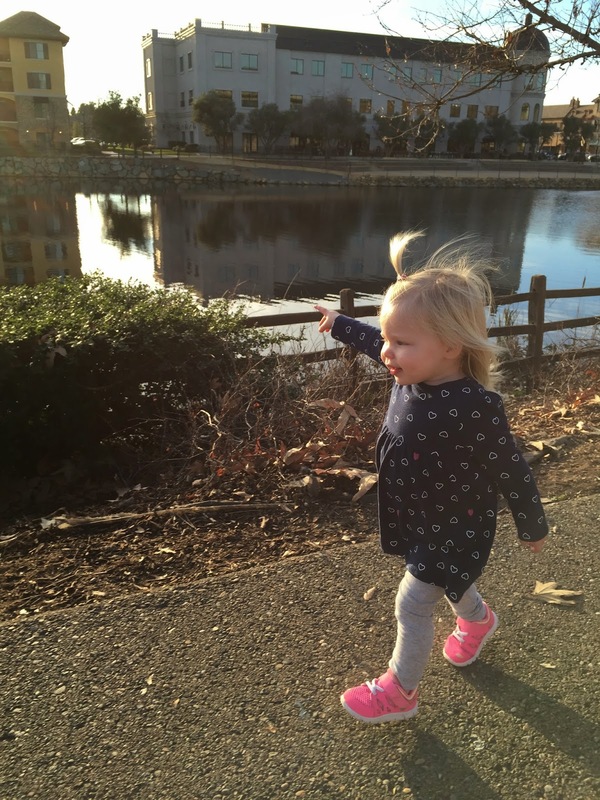 You definitely have started the journey into what some people refer to as the "terrible twos". You are smart and know when you're upsetting us and sometimes will do it if you are trying to get attention or are mad. When you lose your temper, you will throw things (for example, if you can't get your doll stroller moving the way you want, you will pick it up and throw it). You also do something we call "protesting". A couple weeks ago we were at the mall and you were furious that you couldn't have another turn on the carousel, so you laid down on the ground and stayed there. We just watched you and tried to refrain from laughing because we knew we couldn't give in... no matter how cute you are! Sometimes you make me a little crazy when you are acting your age, but I understand this is part of you growing and learning and am doing my best to maintain consistent when I say "no" and keep my patience (which is not always easy). You also do not like to have your picture taken, I have to be quick and sly to get a good shot. On the day after Christmas, we faced you forward in your car seat for the first time. After more than 18 months of hating the car and crying, we finally have a happy girl in the car and it has made it a lot easier on us if we are driving somewhere. You wear size 4 diapers, size 18-24 months and 2T clothes, and size 4 (almost 5) shoe. 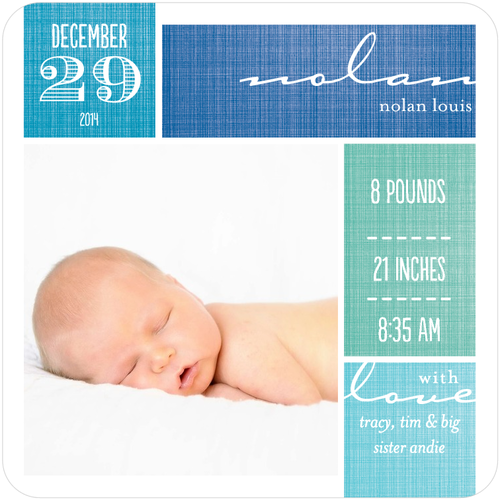 You are growing so quickly and I would guess you are close to 25-27 pounds and about 33 inches tall. You sleep pretty well, about 12 hours at night with a 7:30 bed time, and sometimes you will take a 3 hour nap during the day. You are very good at putting yourself to sleep. Your favorite possession is still your 'blankey' and you chew on them and snuggle them while you sleep. During the last couple of months, we had you in tumble time, which you really have enjoyed. Mainly, you just love running around with out boundaries and being able to climb on everything in site. You have gotten really good on the trampoline and hanging from the bar. It has been a great thing for you to express your energy and connect with other kids. Next up is swim lessons, and we have already enrolled you in them and you start those in a couple weeks! You are getting much better at eating in the last few weeks - you went through a picky phase and we worried you weren't getting enough - but your appetite seems to be coming back and I think you are growing. Your favorite food is fruit, especially blueberries & all berries. You ask for them often. You like frozen yogurt, ice cream, and cookies. I can't believe you are 21 months old. I stare at you sometimes and am just in awe of you. You are the sweetest, most affectionate and loving little girl I have ever known. You really are such a love. You give me random hugs through out the day, will grab my arm or hand during diaper changes and kiss it, hug my legs if I am standing up, and if anyone asks for hugs and kisses you will usually always give them. You blow kisses and pat our backs when we are holding you. I just can't get enough of your loves... they make me so happy. You have the cutest laugh and you love life. You're adventurous, fearless, and happy. I feel so blessed and lucky to have you, my beautiful daughter. I know we will always have a special relationship and I hope you know my love is for you is unconditional. I am in disbelief that you're almost 2. If I could go back and do it all over again, I would. It is so much fun to watch you grow, you make us laugh every single day. This picture makes me smile for several reasons... first, you have such a genuine and happy smile. It makes my heart burst! Second, Gramz took this picture of you when she was getting you out of the house to the park. She said you were so fearless that you climbed straight up to the top of the highest slide, so she had to follow you up and go down with you. I wish I could have been there to take a picture of that! 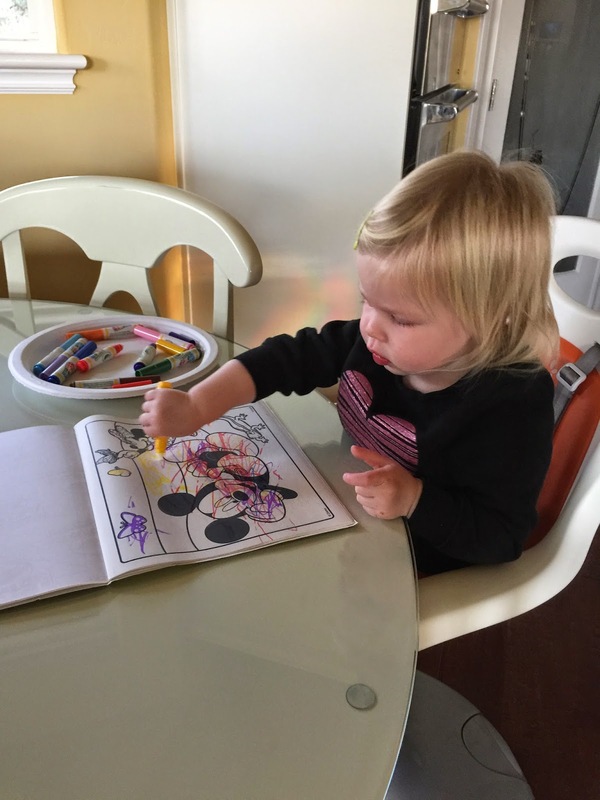 You started showing an interest in coloring in the last few weeks and it is so adorable! Good thing we found these mess free markers. 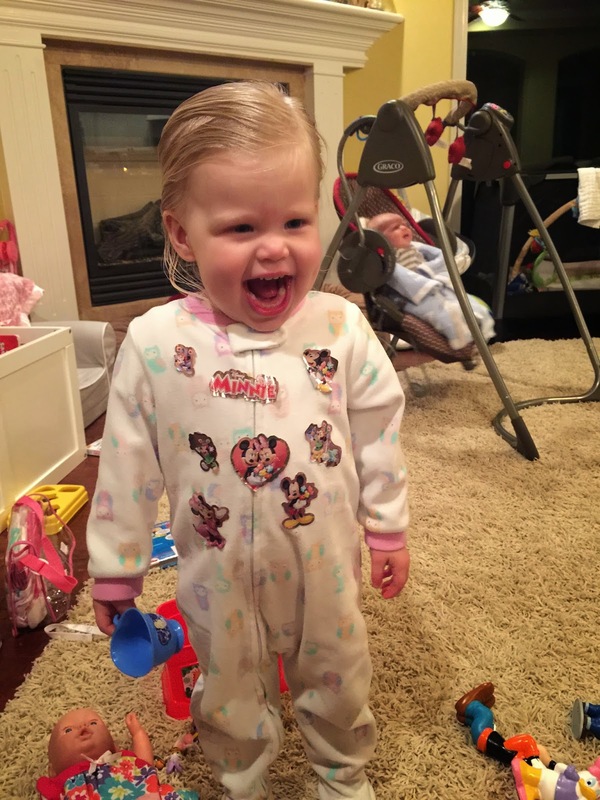 My happy, sticker-loving little girl!